This dissertation includes five academic papers that – one way or the other – all relate to China. The first paper delivers proof for the central thesis of this thesis, which is that China’s boom caused the 2008 financial crisis and ensuing recession. 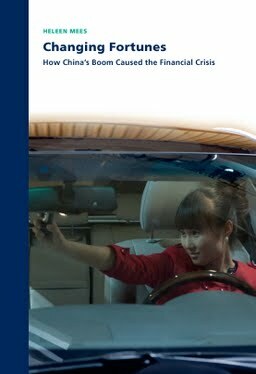 As much as I hoped from the outset to find evidence that China’s leadership purposely flooded global financial markets with cheap money, I have concluded on the basis of my research that the Chinese have more prosaic reasons to save more than half of their national income, and hold it overwhelmingly in the form of bank deposits, driving down global interest rates. The second paper explains why Chinese households save about 30 percent of household income. The third paper shows that individuals in China are susceptible to money illusion, albeit to a lesser extent than their American counterparts. On the basis of financial markets’ response to Chinese GDP figures we have found no evidence, in paper 4, that China’s National Bureau of Statistics ‘cooks the books.’ Last and also least, in paper 5 we show that China’s Q2, Q3 and Q4 GDP numbers are rather predictable because quarterly GDP is reported cumulatively.